A few months ago I asked Serena over on Twitter if she could redesign my blog again. She designed my blog a year ago with the mint green panda and I fell in love with it instantly. A year on I fancied something a little bit more monochrome and smaller. 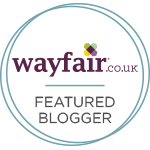 I am so pleased with my redesign, it was only a small one but its made a huge difference to how I feel towards my blog. I am hoping this will be the look of my blog for a very long time now, she hit the nail on the head with this design. The first design took her a day to do but the second on she did within hours of asking her. I know I will keep her in mind for any changes to my blog in the future and I recommend her to anyone wanting a redesign. She was very fair with how much she charged to the change to my blog, she is super kind. I love both designs but the monochrome one is something I wanted to achieve, she was so helpful and listened to every thing I had to say and she turned my blog around within hours. No need to keep my blog quite while the changes were made because it was done so quickly. She is a fellow blogger so has the perfect eye for design too, her blog is pretty Wild Things. If you get a chance head over for a little read and her blog templates and website is this link if you fancy a change this new year. I am super excited for my blog this year and I hope you enjoy reading it too. Let me know if there is anything you would like to see in 2015. I am hoping to do q&a's and more beauty related posts along with lifestyle. Today has been a major blog planning day and i will be doing blog posts 3-4 times a week. I was thinking of setting days but i decided against that for now due to wanting to keep it it fresh in my mind without the stress of set days. i always tweet when I post a new blog posts and you can also follow me on Bloglovin if you fancy. 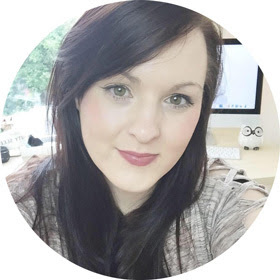 If you want a change to your blog design or help with something I cannot recommend Serena enough. Fast redesign and affordable which is great, I love my new blog design. A fresh start to a blog design can get your creative juices flowing again. I love the panda and hope that can be a main part of my blog for a while, its not just one of my favourite animals but my nickname for my dog is panda because of her black patches around her eyes, so it means so much to me. What do you think of my redesign and are you thinking of getting your blog designed? Let me know what you would like to read on Kemples this year and thank you for all your support.